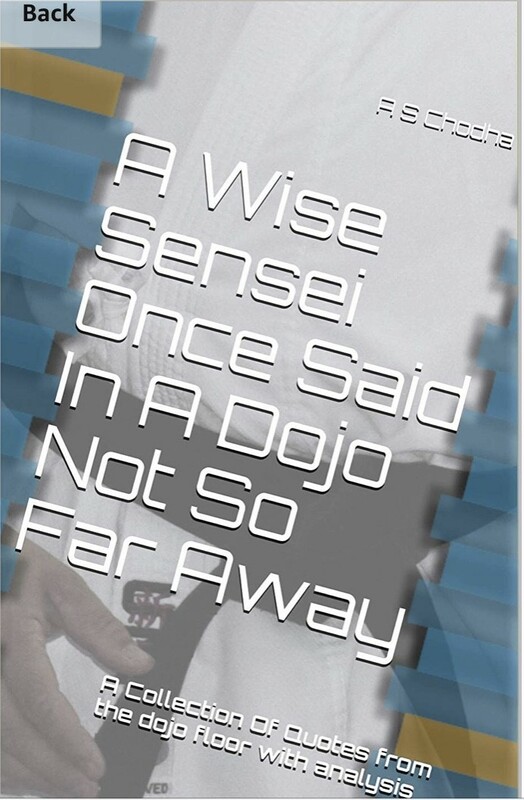 A Wise Sensei Once Said in A Dojo Not So Far away is a collection of quotes/training tips from a collection of modern and historical martial artists with analysis from the author. some of the quotes/tips featured are from leading industry experts such as Iain Abernethy, Kris Wilder and also historical figures such as Choki Motou, Myomoto Musashi and Bruce Lee. This book is aimed at martial artists of all styles and also types too. The principles can be applied to both training and also life too. It is recommended for children, adults and all those in between. The book is divided into four main sections and covers sparring tips and tricks, kata performance tips, habit & mindset and determination & spirit. With regards to sparring, the author gives students an insight into developing power in techniques to fighting smart rather than fighting hard. So as an example one of the quotes featured is ‘closest weapon, closest target’. This illustrates the principle of speed in sparring. Often the closest hand to your opponent is the best weapon, as it reduces the chance of being seen and also being blocked too. So in terms of kata this book will give you tips on how to relax, how to develop explosive movements and also how to develop great stances when performing. Habit and mindset are two very important things to any karateka. Due to the repetitive nature of karate we develop habits. Once a habit is formed it is very hard to break. As Einstein once said the definition of insanity is ‘doing the same thing over and over again and expecting different results’. As humans are creatures of habit, this section helps you to train your mind to form better training habits and be as awesome as possible. Possibly the most important factors for any karateka determination and spirit. These two things can be applied from a sports perspective, where by a lack of determination or a broken spirit can be the difference between winning and loosing, where as in a self defence situation this can have more serious consequences. These tips can aid you to developing a stronger mind and help you achieve both your karate goals and also life goals too. Overall this book will help all karateka at any stage of their journey to develop and strengthen both physically and mentally.